Thomas H. Cahill was born in Fall River, Massachusetts, in October 1868. He graduated from the College of the Holy Cross before enrolling in the University of Pennsylvania Medical School. 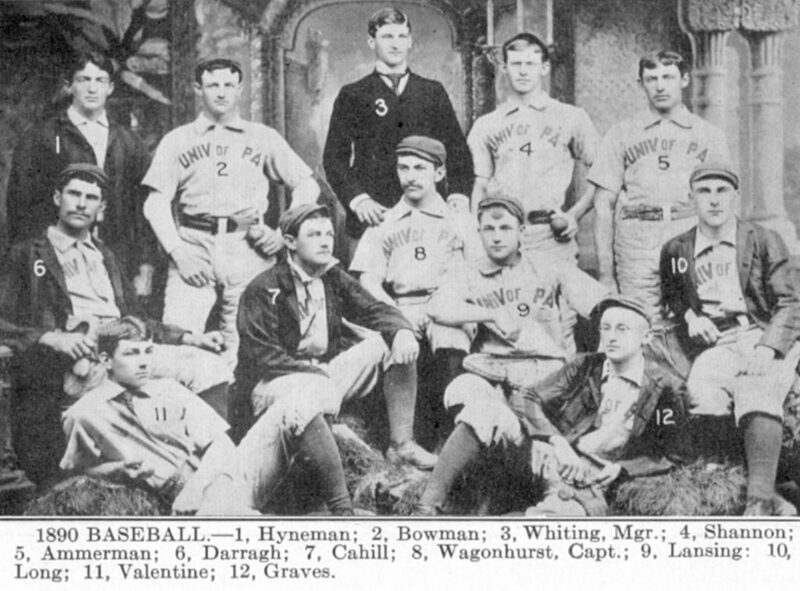 While at Penn, Cahill was catcher for Penn’s 1889 and 1890 baseball teams. Even though he left medical school before graduating in order to play professional ball, Cahill planned to eventually complete his medical education and become a doctor. He made his major league debut with the Louisville Colonels on April 9, 1891. After one season, he became the manager of a professional team in Scranton, Pennsylvania. Here he died in 1894, apparently of complications from an injury.